Burgundy’s inconsistent weather means that vintages can vary wildly in terms of quality from year to year, and its patchwork of regions (and subbregions, and sub-sub-subregions) takes devoted effort to grasp. Why bother? Because no place on Earth can match this French region for the alluring grace of its best wines. In great vintages its ethereal, smoky Pinot Noirs and majestic Chardonnays offer both polish and power. Bouchard has been on a roll lately. A relatively new winery near Savigny (courtesy of the Henriot family, who bought Bouchard in 1995) contains all the high-tech tools that winemakers covet, while land purchases have made it the largest vineyard owner in the Côte d’Or. Bouchard pays for purchased grapes based on ripeness, not weight, helping to keep quality uniformly high. Antoine Vincent turns out serious Mâconnais whites at this underrated estate owned by the Vincent family since the 1860s (the domaine itself dates back to the 1600s); most of its vineyards are in Pouilly-Fuissé. Château-Fuissé’s most interesting wines may be its outstanding single-vineyard cuvées, Le Clos, Les Brûlés and Les Combettes. Each wine brilliantly highlights vineyard-driven differences in flavors. Though this estate produces acclaimed grand cru Chablis, owner Bernard Billaud believes humble wines best show a winemaker’s expertise; hence the care lavished even on Billaud’s Petit Chablis vineyards. Using grapes from 50 acres of vineyards and a boutique, state-of-the-art winery, Billaud crafts unoaked, elegant Chablis that’s very well priced. This is a newish domaine from an old Chablis family: The Moreaus sold their J. Moreau et Fils wine-merchant business in 1985 but held on to a few stellar vineyards. Today Christian Moreau, along with his son Fabien (back from a winemaking stint in New Zealand) and his Canadian wife, Christine, turns out impressive offerings from these prime sites. Proprietor Jacques Seysses christened his estate with his first name instead of his family name, which even the French find hard to pronounce (for the record, it’s sayss). His father bought the property for him in 1967, and Dujac’s wines earned nearly instant acclaim. Today Jacques leaves day-to-day decisions to sons Jeremy and Alec and Jeremy’s American wife, Diana. The team crafts impeccably refined reds and whites. 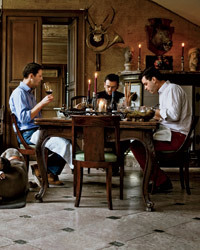 Following in the footsteps of six generations might intimidate even the most self-assured 25-year-old, but Erwan Faiveley wasn’t afraid to make big changes when he took over his family’s domaine in 2007. Recent vintages have been the best in years. Known for its elegant, ageworthy reds, the winery owns one of the Côte d’Or’s largest portfolios of top vineyards. Jean-Marie Guffens and Maine Heynen buy grapes all over Burgundy and the Luberon for their Maison Verget label, but it’s their Mâconnais estate wines that define their style. They keep yields radically low, pick late and add no acidity, sugar or yeasts. The result: penetrating whites unlike any others in the Mâconnais. Just a few women winemakers run prestigious Burgundy estates; the talented Nadine Gublin is one of them. It was big news when Jean Prieur named her winemaker of his family’s famed domaine in the late ’80s. She draws chiefly on grapes from grand and premier cru vineyards throughout the Côte d’Or’s top terroirs. Fifth-generation vintner Michel Laroche took his family’s unremarkable 15-acre winery and turned it into one of the top large estates in Chablis. Laroche challenges convention, advocating screw-caps—even for grand cru wines—and aging some wines in new oak. In 2010 he sold control of the domaine, but he and winemaker Denis de la Bourdonnaye remain on board. This is one of the finest domaines in Puligny-Montrachet, one of the great sources of white Burgundy. Winemaker Anne-Claude Leflaive (whose grandfather Joseph Leflaive began the winery in 1920) and cellarmaster Eric Rémy craft brilliant whites in tiny quantities from some of the world’s most famous vineyards. Look for its more-accessibly priced cuvées from the Mâcon district. Jean-Marc Brocard began with a few acres of vines in the 1970s. 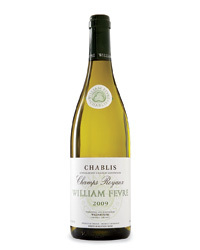 Today he makes a range of terrific, unoaked wines from nearly 450 acres of vineyards throughout Chablis and beyond. His son Julien is converting the estate to biodynamic farming; look for ladybugs or moons on the labels of wines from “green” sites. One of Burgundy’s largest producers, Louis Latour offers wine from nearly every major appellation in Burgundy. (It also produces vins de pays from vineyards farther south.) Latour’s portfolio gets its sheen from a handful of flagship whites hailing from grand cru Côte d’Or vineyards such as Corton-Charlemagne. This boutique winery is the creation of Lebanon native Mounir Saouma and his wife, Rotem Brakin. Saouma worked at a winemaking monastery in the Middle East in the late 1980s and studied wine in France before starting this small négociant business in Beaune, known for its lush, ageworthy whites and reds. This Burgundy négociant was once known for making large amounts of dull wine. But under current head Jean-Charles Boisset, it is now a go-to label for expressive, well-made wines. Since joining in 2002, star winemaker Grégory Patriat has switched to traditional, small-winery techniques that have paid off. Since 1880, the Drouhin family has steadily added to its collection of Côte d’Or vineyards, which include parts of such legendary plots as Musigny and Vosne-Romanée. Today more than half of Drouhin’s Burgundy offerings are made with estate grapes, all organically farmed. That control, plus the family’s focus on quality, keeps Drouhin among Burgundy’s finest producers. Few producers anywhere match this négociant’s ability to turn out both juicy, value-packed everyday wines and world-class cuvées. This is due partly to the skill of Jacques Lardière, Louis Jadot’s technical director for 30-plus years, and to the inarguable quality of the company’s fruit—even in basic bottlings. Born into a prominent wine family, Olivier Leflaive began his own label in 1984 as a side business, using purchased grapes. He later left his family’s legendary domaine to concentrate on his eponymous wine venture (plus a new hotel and restaurant). Gifted winemaker Franck Grux crafts Leflaive’s vibrant, beautifully layered wines, most of which are white. Though his wines can be quite traditional, Vincent Girardin is a thoroughly modern winemaker. 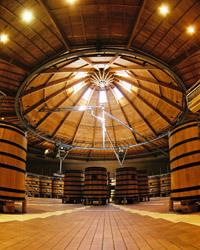 Made in a state-of-the-art facility in Meursault, Girardin’s seductive, fruit-driven Côte d’Or reds and whites—mostly grands and premiers crus—have made his reputation (though his Mâconnais wines offer great value). Sometimes selling out to a larger company improves a winery. William Fèvre sold this terrific estate over a decade ago to the Henriot Champagne company. Henriot sent in winemaker Didier Séguier, who increased grape quality by reducing vineyard yields and decreased the amount of new oak used for aging. The result has been more-complex wines with purer, fresher flavors.